Over the years, we’ve seen clients spending hundreds of dollars each month (not at Mousebuilt!) on Search Engine Optimisation (SEO). Incredibly, some do not understand what they’re paying for. In this article, we’ll have a go at explaining SEO in plain English. Put simply, SEO is the process of making your website rank organically, or naturally as high as possible. Sounds great right? It’s an easy sell for website developers because everyone wants their website to rank better. That’s part of the problem. Not everyone can be first page in the search results for their chosen keywords (search term). In the early days of the internet, before Google, Facebook, Twitter or YouTube, SEO was too easy. I remember issues like this popping up regularly: It’s 1998. You fire up your Windows PC, check that nobody in the house needs the phone line because you are about to dial up to the Information Superhighway! After a minute of shrieks and warbles from your modem, you’re connected. Google changed everything. 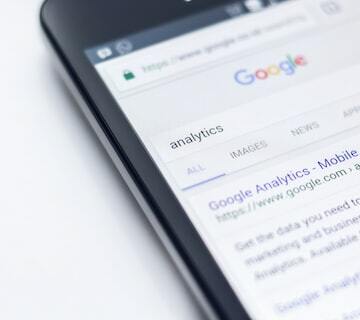 Since day one, Google has had the aim of serving the most relavent content possible for every search, and now after working towards that aim for nearly 20 years, they are getting really close. Google has spent countless hours improving their search logic so it’s now extremely difficult to “game the system”. I know, I’m a Google Certified Professional, and SEO was my previous full-time job. I looked after dozens of clients paying over $400/m each. So, is SEO a waste of time? There are other very important factors too, like attracting backlinks from good quality sources, social media engagement, and many others. In a nutshell then, you don’t need a rocket scientist to help with your SEO. We encourage all website owners to learn some of the basics. Add some simple tools (available to all Mousebuilt site owners) and some regular SEO reporting and you should seeing more visitors to your relevant content. When you write easy-to-read, authoritative content on your chosen subject, search engines will find it.